It has been an interesting process and a tad more difficult this cycle. Initial thoughts were laid into the video back in July but I have been doing the bulk of the work in September as can be seen from the rough activity schedule below. This is not really optimal of course – in comparison my activity on the GNOME 3.16 release video was much more scattered. 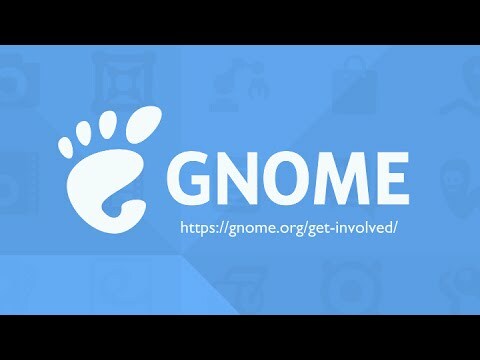 A total of 22 days spent on the GNOME 3.18 release video. The main reason for the dense September activity was due to the fact that I was focusing on wrapping up my Google Summer of Code internship on Polari during most of August. Another part of the reason was that I faced some interesting challenges of recording the new features in 3.18 which I had not anticipated. 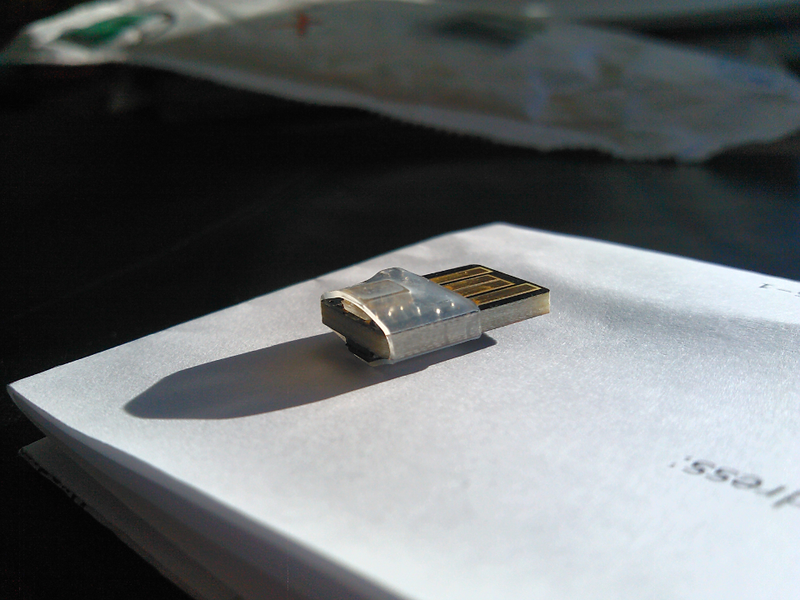 Richard lended me an ambient light sensor and helped me by fixing bugs and providing rawhide builds for fwdmgr. Another interesting challenge I faced was that the Chromebook Pixel I am gratefully borrowing from GNOME Foundation had trouble keeping a decent framerate (24fps) under GNOME 3.18. Then I found xrandr – which means I can now use screen record in hi-dpi using any type of monitor. Furthermore, I got help from Zeeshan Ali, Debarshi Ray and others to record some other features that was hard to come by such as Google Drive support and the list view in Boxes. This was possible because I have made a screen-recorder-tarball providing instructions, which should work on Fedora, Arch Linux and probably any other distro too (you just need to have xrandr installed). Perhaps for the next release video we can have more contributors help with screen recording – if you are up for it, you are very welcome to participate. My office. Left: My big “renderslave” laptop. 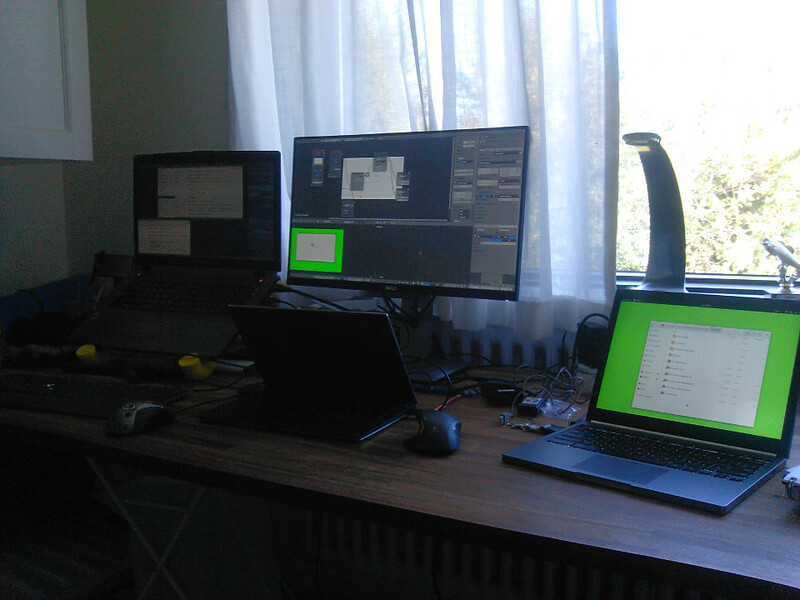 Middle: My new XPS 13″ connected to a new monitor for editing. Right: Chromebook Pixel setup for screen recording. The release videos are all made using a free software pipeline. FFMpeg offers me great performance for shooting the latest release of GNOME on Fedora Rawhide. Blender, GIMP and Inkscape gives me the tools to create, animate, composite and edit. And the newest tool to my collection, Syncthing is ensuring that I can work across three computers on the same instantly synchronized files in parallel. High fives to the gnome-design-team for providing a vast amount of ressources I can rely on to produce a GNOME video of this quality. Fistbumps to the engagement team for bringing feedback in the process and especially to Karen and Mike for creaating a great voice-over. Hugs to Petr Kovar and the translation teams for making the GNOME 3.18 release video available in 9 different languages. And many sweet lullabies to the hundred of GNOME developers who have contribute their time to making free software amazing.